Removing the rear wheel is a little more complex than removing the front wheel, but is still not particularly difficult or time-consuming. It shouldn’t take more than half an hour to remove, and maybe a little more to put back on again. The main issue with the rear wheel of an electric bike is that this is where the motor is located, and a cable runs from it and back to the area behind the seat where the breaker, connection blocks and controller are all housed. You can see the end of this cable below, where the phase wires and hall sensor connector come out and meet up with their respective connectors. The first thing to do is detach the hall connector plug, then unscrew the phase wires from the connector block so that you can free the cable with the wheel. There may also be a cable tie further down that you will need to cut off. 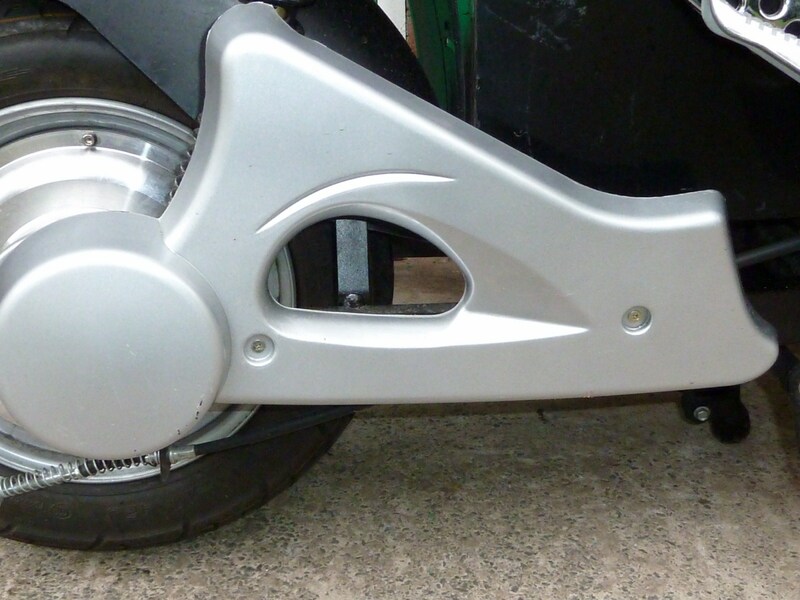 Before we can tackle the nuts and bolts securing the rear wheel, you’ll need to remove those plastic panels that obscure the bike’s innards to the rear. They’re held on by two little screws. Take these off and put them aside. You might want to take this opportunity to give them a good wash, as this is where road muck tends to gather. 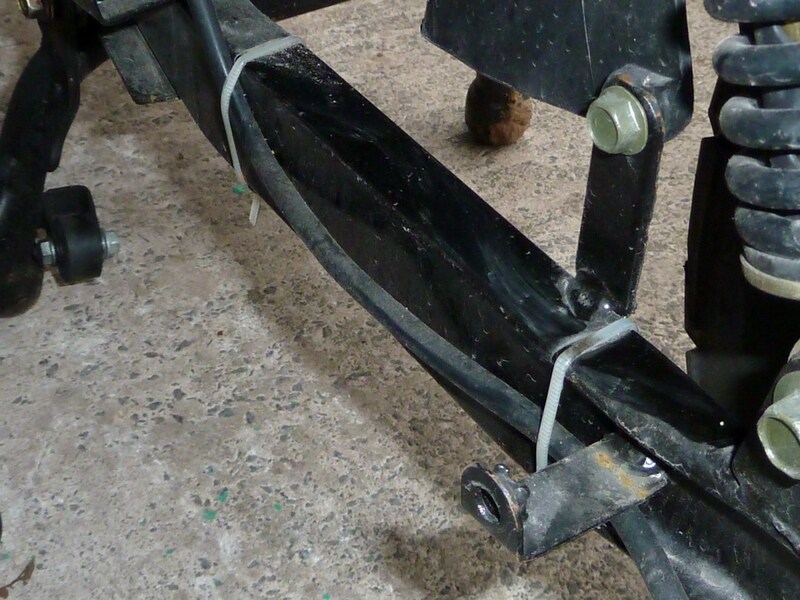 You can see below how the cable is run alongside the left side of the frame, and secured by a couple of cable ties. You’ll need to cut these. You can replace them with fresh ties when the wheel is back on again. 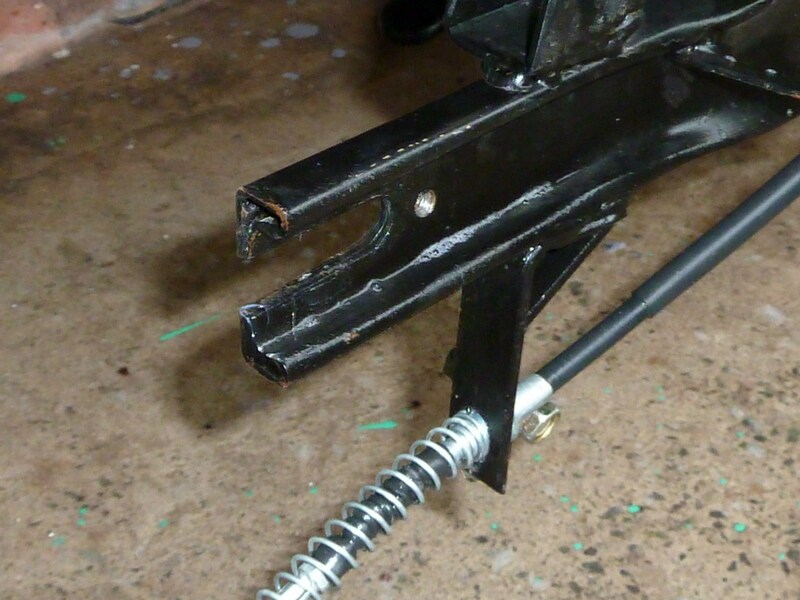 Next you’ll need to deal with the assembly that secures the main shaft of the rear wheel to the bike. 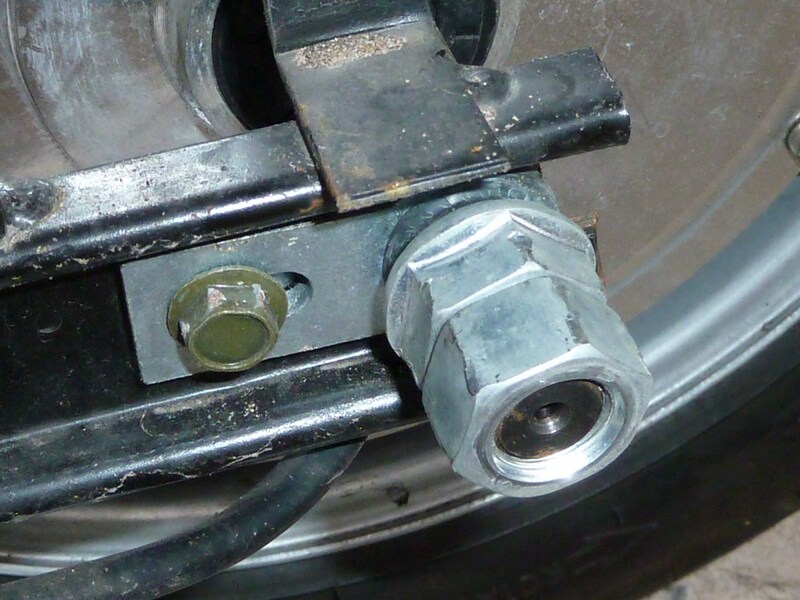 On the left side of the bike, two large nuts – the inner one flanged – sit side by side. To its left is a retainer bolt which will have to be fully removed. This will allow the shaft to slide out of a slot in the bar. 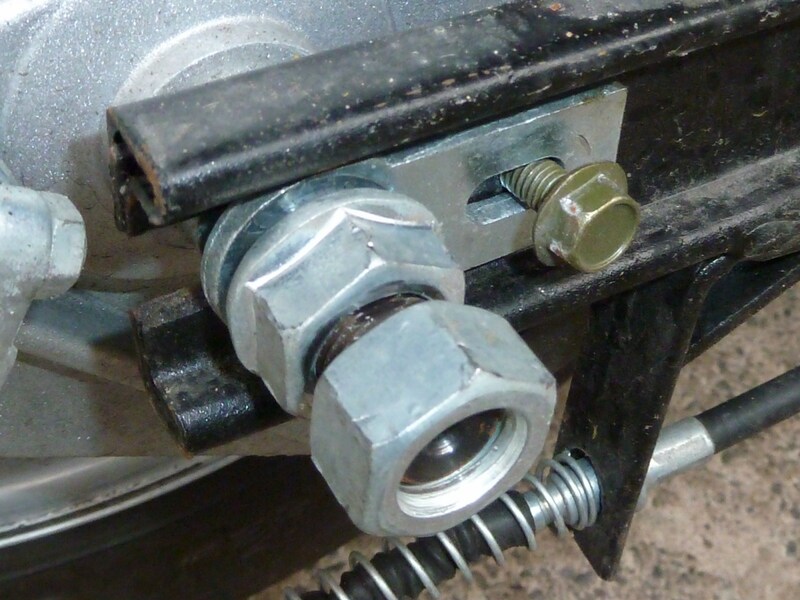 Loosen off the nuts, and remove the bolt to the left. The arrangement on the right side is more complex, as this is where the rear drum brake assembly resides. 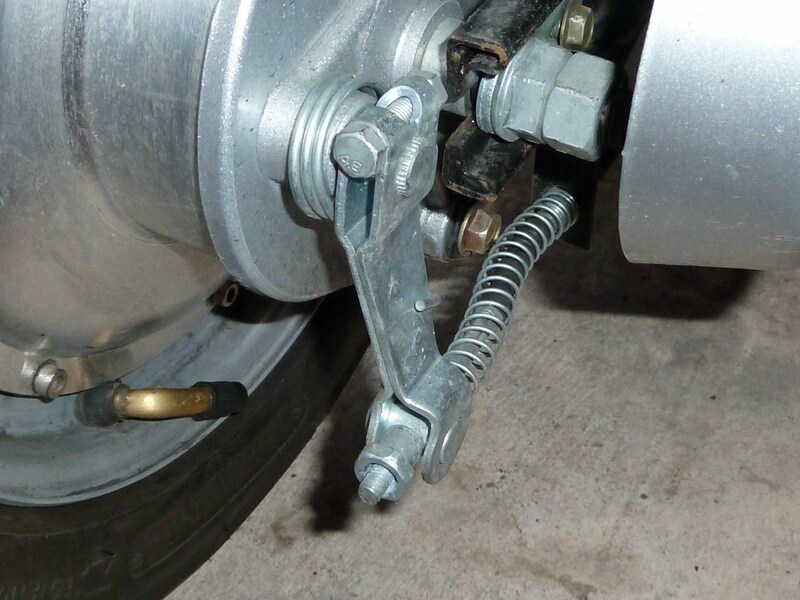 You’ll need to detach the arm of the brake drum from the brake-cable actuator by removing the nut at the bottom from the end of the cable. Next take the little cylindrical gromit out of the end of the brake lever and put it back onto the cable end, re-securing it with the nut. That way the arm will be detached, but all the bits will be together in one place when it comes time to refit the wheel. 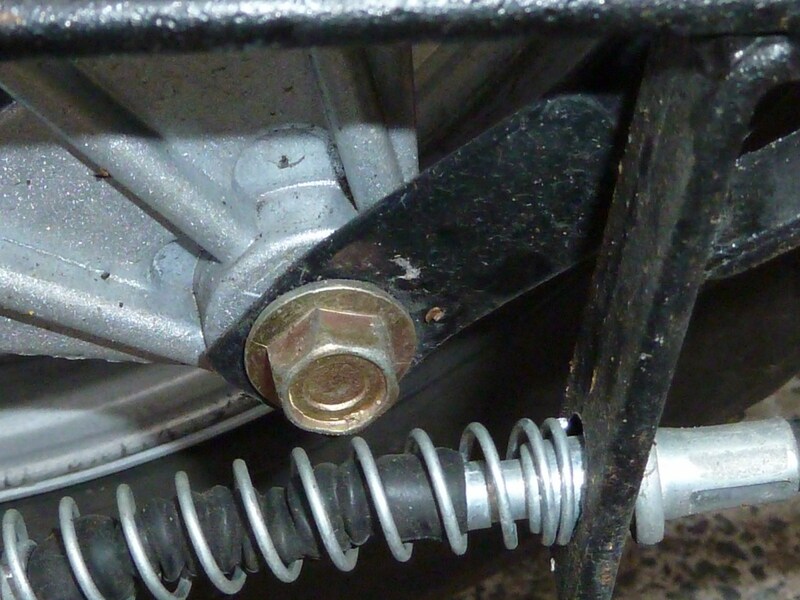 You’ll also have to remove this bolt that secures the drum brake assembly to the frame. 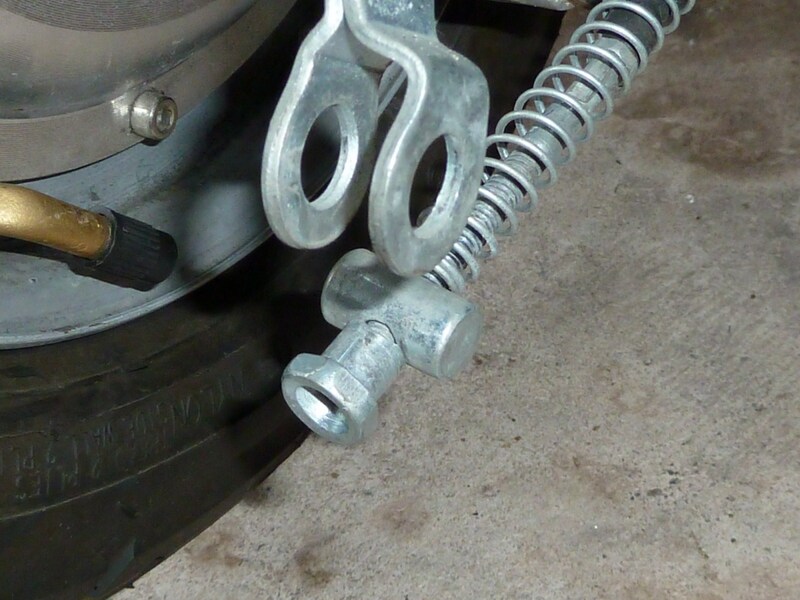 Finally, as on the left side of the bike, loosen off the nuts and remove the forward retaining bolt. 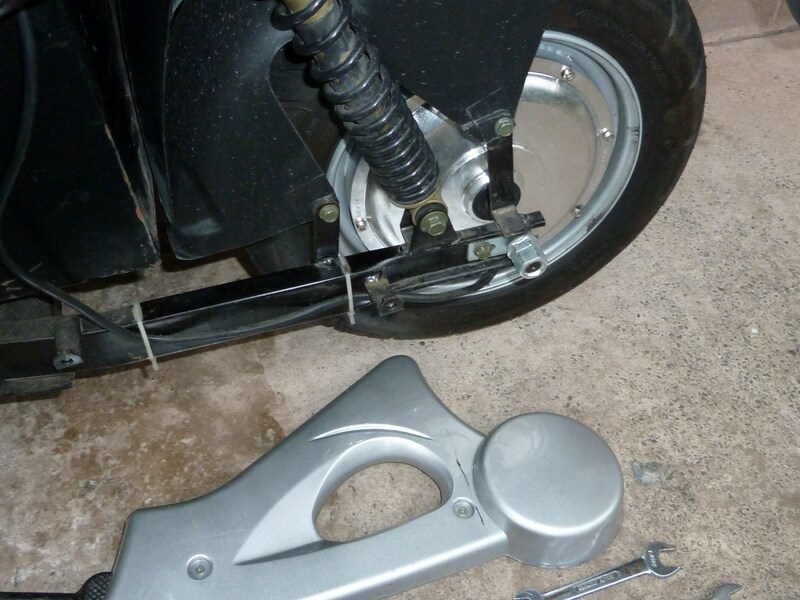 The whole thing – rear wheel, drum and axle – should now freely slide off the slots that hold it in the frame. To refit the wheel, you just do all this in reverse. 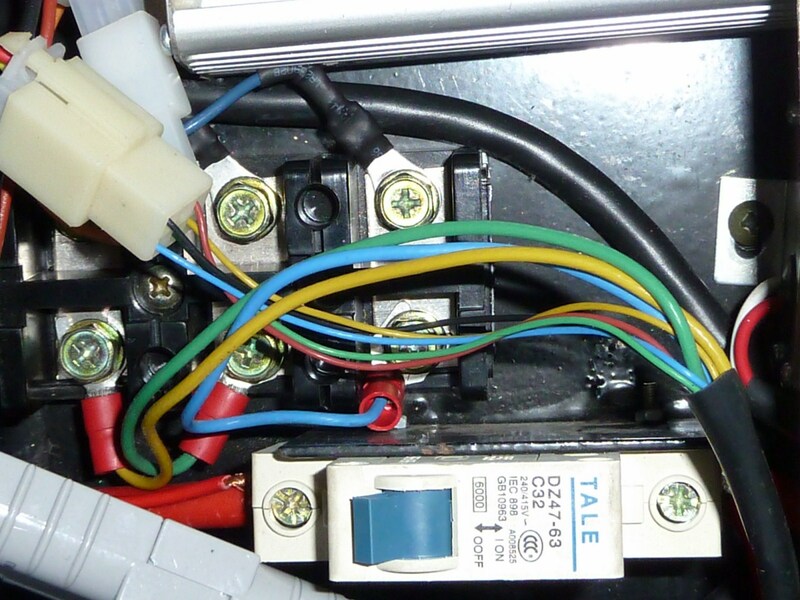 However, be careful to ensure that the cable is correctly routed along the outside of the frame (and re-secured with fresh cable ties) before you reconnect the hall sensor and phase wires. 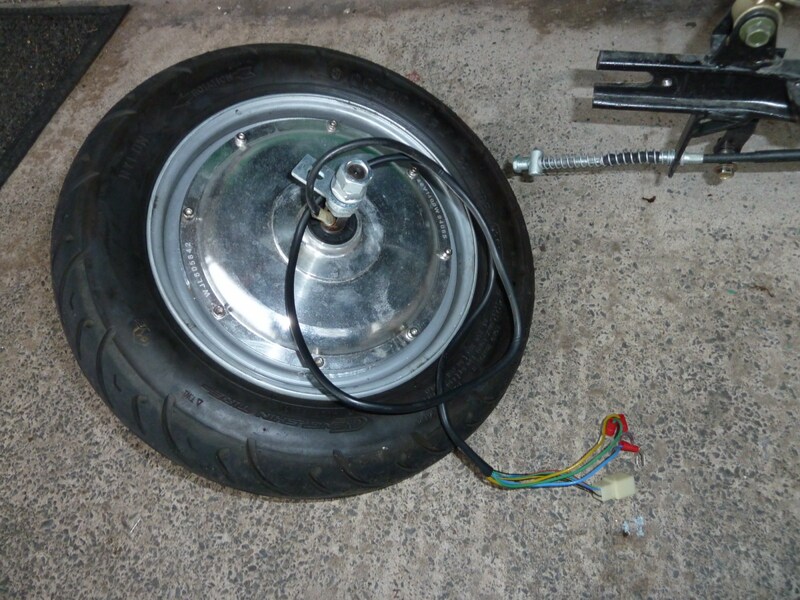 When refitting the wheel, you’ll also notice there’s some free play either side, where the axle can slide one way or the other. To make sure the wheel is on nice and straight, it’s a good idea to take a ruler and measure the distance of the axle either side from the end of the bars into which the ends of the axle are seated. You are currently browsing the archives for the 4.6.2. Removing the Rear Wheel category.